Charlie, on the other hand, is the once-in-a-cosmos priceless human being made in the image and likeness of God, who is stricken by an extremely rare disease but who may have survived just the same, given a fighting chance. But instead of allowing his parents to try to save his life, the Court has blocked them--and only the sound of peaceful, prayerful crickets is to be heard from the vicinity once known as Catholic Rome. 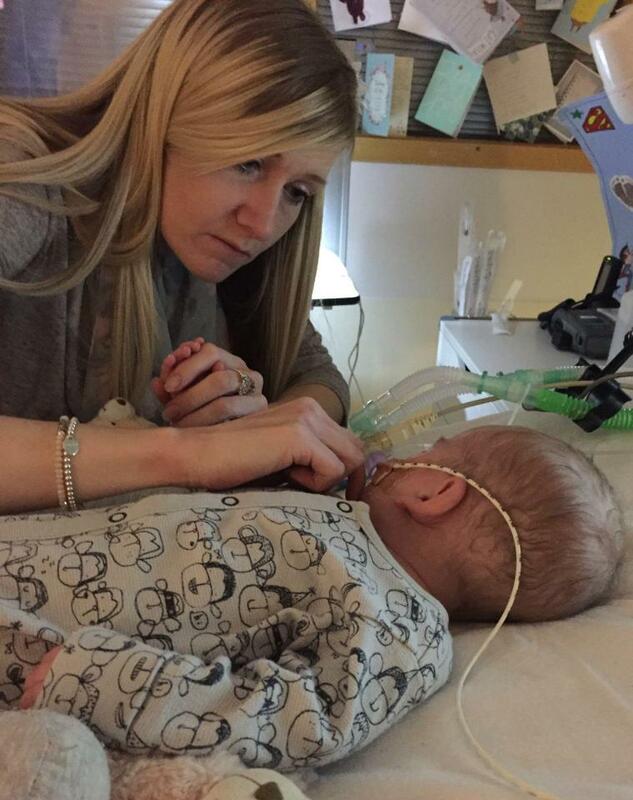 Would the high-risk treatment have saved little Charlie? No one knows for certain. It is entirely possible that he might have died just the same. The real problem is that no one can be sure he wouldn’t have lived, either. Your Archbishop will not cease to protest against the killing of the innocent. We declare ourselves ready to meet all expenses with regard to the further care of all patients who are to be put to death. You’ve got to be kidding me. Not Vincenzo, again? Evidently, that quote would be correctly attributed to His Excellency Konrad Gröber, Archbishop of Freiburg, who stood before the secular authorities of his time (namely, the bureaucrats of the Reich Chancellery in Berlin on August 1, 1940) and so testified. The question of the age is, of course, “Who Should Decide”--reechoing the seminal query “Did God Really Say . . .?” as hissed into the ear of our first mother, Eve, concerning the harvesting of some local trees. It is wrong to call into question what is already known without a doubt; and calling into question the word of God is what the Bergoglian consensus-seekers are doing when they imply that their “questions” don’t have unqualified answers already. Why can’t Charlie’s parents decide--parents who, like Bob and Mary Schindler before them, want desperately to do all they can to help their child survive, and to offer him self-sacrificially the highest ‘quality of life’ he can manage, whatever the snobbish Sangerians may think? No need to be concerned, in other words, that the head of the overhauled Pontifical Academy for Life is in any way attempting to plagiarize the verbiage of His Grace Franz Rudolf Bornewasser, Bishop of Trier when he actually did say this on September 14, 1941. The proper question to be raised in this and any other unfortunately similar case is this: what are the best interests of the patient? We must do what advances the health of the patient, but we must also accept the limits of medicine and, as stated in Paragraph 65 of the encyclical Evangelium Vitae, avoid aggressive medical procedures that are disproportionate to any expected results or excessively burdensome to the patient or the family . . . Dear Charlie, dear parents... we are praying for you. Certainly, there is a moral obligation to care for oneself and to allow oneself to be cared for, but this duty must take account of concrete circumstances. It needs to be determined whether the means of treatment available are objectively proportionate to the prospects for improvement. To forego extraordinary or disproportionate means is not the equivalent of suicide or euthanasia; it rather expresses acceptance of the human condition in the face of death. Nowhere does John Paul II either state or imply, as Paglia attempts with Bergoglian brazenness to misrepresent, that extraordinary treatments are to be positively avoided; only that they may be morally foregone if there is no reasonable expectation of improvement as a result. Also, as the former Holy Father of happy memory makes undeniably clear, he is speaking here about establishing medical parameters for medical decision-making “when death is clearly imminent and inevitable.” But in little Charlie Gard’s case, death is only definitely inevitable because the Human Rights Court has decreed it to be so. Is this euthanasia? It is well to remember that this crime against humanity may be accomplished not only by commission, but by omission as well. Back in the day, the Father O’Rourke’s of the world were trying to get denial of nutrition and hydration included under the umbrella of the “extraordinary,” and they almost got away with it. Now, the bishops of England and Wales want to acquit themselves of this charge by recognizing that nutrition and hydration are always to be provided--which is awfully nice of them, given that that isn’t the issue in the Gard situation. Where were they when Terri Schindler Schiavo was being starved and dehydrated to death? If what is happening to Charlie is nevertheless properly categorized as euthanasia, however, it is because the Church recognizes that this act is to be identified both by the intention and by the means used. 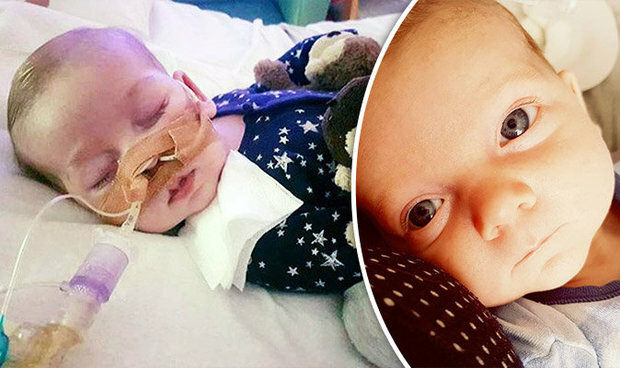 The logically ineluctable motive of the Court which has ensured that this little boy is going to die no matter what makes his imprisonment in a British hospital the moral equivalent of holding a pillow over his face until he expires. In papering over this decision with Christian-sounding terms, as we have seen, the members of the hierarchy aren’t exactly channeling their august and solidly Catholic predecessors. But there are some people they’re starting to sound a lot like, instead. There’s the noted team of Karl Binding and Alfred Hoche, who opined in their co-authored treatise, “The Release of the Destruction of Life Devoid of Value,” that “the elimination of pain is also healing.” It was the National Socialists, naturally, who took this work from the 1920s and ran with it, putting into practice the idea that the most aggressive military and medical approaches are simultaneously the most “humane” (a term lifted straight from Hitler’s Mein Kampf, in any number of places), because not being alive at all was considered preferable to enduring an existence marked by suffering either literal or metaphysical (defined, mirabile dictu, as any existence which the Nazis themselves did not approve of). Archabortionist and situational ethicist Joseph Fletcher, in his book “Humanhood” from the 1970s, also set great store by the notion that all other considerations should be subordinated to the “humane and rational,” which is the justification he offered for eugenic infanticide, among other things. So now we hear that the bishops and the Archbishop want to see to it that everybody ends up acting “humanely in the interest of the sick person” where the Gard case is concerned, is that it? Well, truth be told, Your Excellencies, that’s what they all say. There’s Magda Denes, the sociologist whose volume In Necessity and Sorrow documents her time investigating the inner workings of an abortion clinic in America in the late twentieth century. Despite holding pro-abortion views herself, Denes had the intellectual integrity to relate her findings honestly. Among them is included the following sanguine assessment: “(We) take it for granted that we are in the business of death, here.” Yes, the Church does allow for economic considerations to come into play in making medical determinations, but not in such a way that lucre is permitted to eclipse the intrinsic and inviolable value of the patient himself, which is of an entirely different and supernatural order. 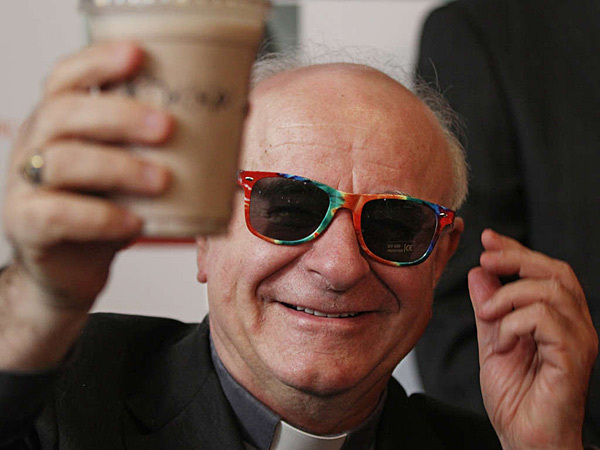 Where do we find, in all of Paglia’s talk about “avoid(ing) aggressive procedures that are disproportionate to any expected results,” the idea that human beings are worth investing in, worth being given the benefit of the doubt, even if they are never grow up to wear pairs of rainbow sunglasses and hoist specialty drinks with the cool kids? We don’t. That idea just never gets any air time at all--an omission that ought to concern every last one of us, very deeply. It is judged that (victims of the euthanasia program, by either active or passive means) can no longer produce riches, and that they are like old machines which can no longer work, like an old horse which has become incurably lame or like an old cow which can no longer give any milk. What does one do with such a machine? One destroys it. What does one do with an old cow or any unproductive cattle? But I do not wish to push this comparison too far. The justification of this comparison and the light it throws on the situation is too terrible. We are not here dealing with machines or horses or cows . . . If this horrible doctrine is tolerated, admitted, and practiced, it is impossible to imagine to what depths of depravation it will lead. . . . Woe to men and woe to the German people if we transgress the sacred commandment Thou Shalt Not Kill which was given to us by God on Mount Sinai in thunder and lightning and which God, our Creator, engraved on the human conscience from the beginning of time. Woe to the German people if we not only tolerate this crime but allow it to be committed with impunity. And woe to us, if we do not follow in the footsteps of this courageous and faithful shepherd when we see the rights not only of God’s own creatures, but even of God Himself, being violated in our own day, and by His chosen and anointed ministers at that.